• BAM approved for use with liquid and gaseous oxygen in flange connections of copper, copper alloys or steel in flat or tongue and groove finishes at operating conditions up to 130bar and 200°C. • DVGW certified for sealing gas supplies at pressures up to 16bar and in the temperature range –10°C to +50°C. • Physiologically harmless in prolonged installation at temperatures up to +260°C according to VDI/VDE guidelines 2480. Complies to FDA 21 CFR 177.1550 (PTFE) requirements for food. • Easy to install in length form with no waste. • Long lasting and highly reliable. 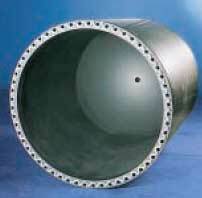 Maximum pressure 250bar, depending on operating conditions and application. Length form (with self-adhesive strip): 1mm wide x 1mm thick, 3mm x 1.5mm, 5mm x 2mm, 7mm x 2.5mm, 10mm x 3.0mm, 14mm x 5.0mm, 17mm x 6.0mm, 20mm x 7.0mm, 25mm x 9.0mm. On spools containing 5m, 10m, 25m or 50m, according to width.